Netflix's surprise winter hit The OA thrived on mystery. From the striking opening image, a young blonde woman leaping from a bridge, to the puzzling final cliffhanger, which had more interpretive dance moves than expected, the Netflix sci-fi drama from co-creators Brit Marling and Zal Batmanglij existed to confound. It fed on questions, speculation, and half-baked Reddit posts. The OA Season 2 will likely do the same thing -- whenever it drops online. Since the release of the first eight episodes in December 2016, fans have clamored for more and the show's creators quickly hinted at ambitious plans for additional episodes. Netflix officially renewed the show for a second season in February 2017, but the production schedule hasn't been as accelerated as other hits for the platform like 13 Reasons Why, Orange Is the New Black, or even a turbulent production like House of Cards. Unsurprisingly, the show marches at its own pace. Could the second season be arriving soon? And what could we expect from the continued adventures of Prairie, Dr. Hap, Steve, Jesse, French, Buck, BBA, and Homer? We looked at the internet tea leaves to find some clues about what might be coming in a second season. When is The OA Season 2 coming out? Get ready to travel to another dimension, because Season 2 of The OA returns on March 22. In late February, Netflix announced that the highly anticipated part two of the series is set to hit the streaming service in just a little over a month. 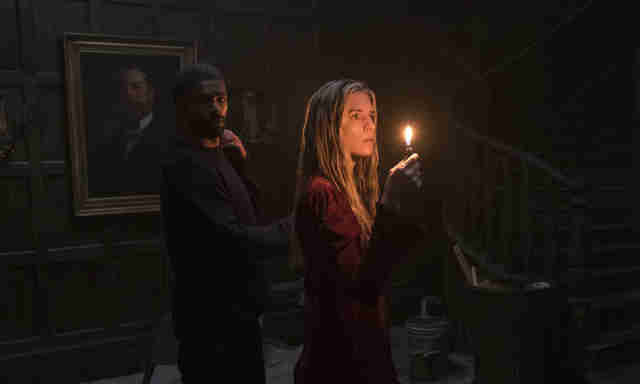 While the first season of The OA arrived with very little pre-release hype and solely a cryptic, grainy trailer that arrived just several days before it dropped in December 2016, anticipation for Season 2 has been rampant based on its cult-following and the long-winded effort to see its release. But fear not because the release is in the homestretch and, back in July, Netflix’s Vice President of Original Series Cindy Holland told IndieWire she had seen couple episodes and “fans will be very happy” with what's the come. And if your anxiety for the upcoming new episodes isn’t at a high already, just know there’s probably more down the line, too, because Holland also said the series was always intended as a “five-season arc” and expects to continue with that plan. The second season will consist of eight episodes, the same number of chapters as the first. Is there a trailer for The OA Season 2 yet? There is! Netflix dropped a very insane, melodramatic clip along with the announcement of Season 2’s release date in late February. In the trailer, it appears that when Prairie was shot in the Season 1 finale, when she was revived, she woke up in another dimension. (Barack Obama was never president -- gasp!) 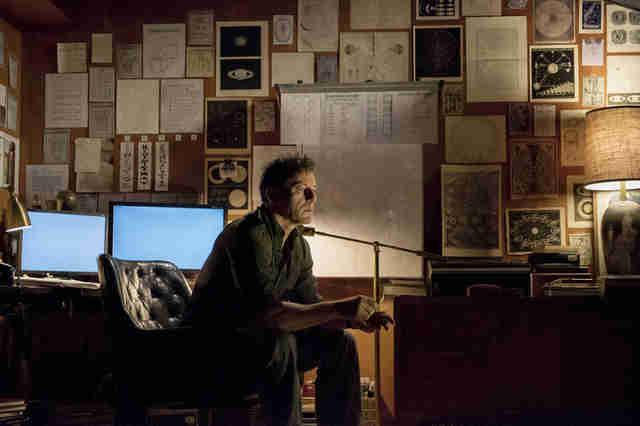 So, expect a whole lot of inter-dimensional travel and alternative versions of selves and the whole sci-fi works in Season 2 -- all of which looks like its adding up to Prairie’s search, along with a sultry private investigator, for Homer. A teaser also surfaced way back in February 2017 when the show was confirmed for a second season, and even though it doesn’t give quite as much insight into what’s to come as the full trailer, it can definitely expand whichever direction your galaxy brain about the show wants to go. It features what looks like some gas, water, text in braille, a shot of a bridge, and a voice calling out "Homer,” all callbacks to Season 1. According to the sleuths on Redditt, the braille in the trailer means "survive," which strikes an ominous tone for Season 2. Who will survive?! When connecting it with the newest trailer, apparently Prairie and the rest of the core NDE gang, but it’s Homer who they’re searching for to stay alive. Will "Prairie" actress Brit Marling return for The OA Season 2? Here's something we definitely know: Marling will return for Season 2. This may be surprising to some, as last season’s finale left Prairie’s fate a bit ambiguous when she was shot during a school shooting -- but it would be pretty bizarre if the show's co-creator, writer, and star decided to bail after Season 1! Plus, she hasn't had another role in a film or TV project since she began playing Prairie Johnson. While she did write a thoughtful essay for The Atlantic about Harvey Weinstein and "the economics of consent" and remains active on social media, it's clear most of her creative energy is focused on The OA at the moment. On Instagram, Marling wrote that she was "excited and terrified in equal measure" about the roadmap these scripts would provide. More so than Twitter, her Instagram is where you can find little peeks behind the scenes of the production process of Season 2. Marling has posted photos praising the work of the hair and makeup crew, along with a snapshot of director and co-writer Zal Batmanglij on set. You won't find spoilers, but you'll find some fun photos. Will Jason Isaacs ("Hap") and the other cast members come back? Though it was centered around Prairie's journey of self-discovery, The OA had a large cast with numerous subplots. It makes sense that fans are hoping the show will provide some new adventures for the high school characters Steve, Jesse, Buck, French, and their teacher BBA. And what about the evil Dr. Hap? You can't have The OA without Dr. Hap, right? There's very little concrete casting info online about who will be back for Season 2. But thanks to Jason Isaacs taking to social media, we do know that the Star Trek: Discovery actor will return, sharing that he finished filming his scenes in early May of last year. Brooklyn singer-songwriter Sharon Van Etten, who played one of Dr. Hap's captives named Rachel, will also appear again. When speaking to The New York Times about her recent album, the recording artist also briefly spoke about her work on the series -- without revealing any details about the new season, of course. But, she will be back! As for the younger actors in the cast, Brandon Perea, who played "French" in Season 1, did tweet some photos of him hanging out with his fellow cast members Ian Alexander, Brendan Meyer, and Patrick Gibson. While at first it was unclear if they were just hangin' or were taking a break from shooting scenes for Season 2, one can assume they'll be back, as they appear in the recent trailer. Are there any new cast members for Season 2? Compared to a show like Big Little Lies, the casting news for The OA Season 2 hasn't exactly lit up the internet. But this is a low-key, secretive show: It would be strange if all the sudden if an A-list movie star was added to the cast for Season 2. Besides Brit Marling, Isaacs, Phyllis Smith, and Riz Ahmed, who played a small but pivotal role in Season 1, the first season's cast consisted of mostly unknown faces. It would make sense if Season 2 took a similar approach. But there has been at least a few small pieces of news. Actor Theodore Pellerin (Boy Erased) is a new cast member set to appear in Season 2. According to The Wrap, he'll play a character named Liam who is described as "an 18-year-old who has persisting hallucinations." Hallucinations are a pretty common experience on The OA, so he should fit right in. He'll be featured in three episodes of the show. Deadline reports breakout actress Bria Vinaite who starred in The Florida Project is also signed on in a reoccurring role, but in typical OA fashion, details regarding her character are entirely kept under wraps. What have the creators said about Season 2? Despite the veil of secrecy about the production of The OA -- for example, signs for the sets were written in a Braille-like code -- Marling and Batmanglij have been affable and forthcoming in discussing their creative process with the press. Similarly, they've made it clear their ambitions stretch beyond a single season. "We just found ourselves struggling with a density problem in movies. By the time you get the world and all these people set up, you have a half-hour to play in it, then you're out," said Marling in a New York magazine profile. "We spent a year and a half just making all of this stuff up, doing the mathematics and the story. This first season is the outermost ring of that labyrinth." Batmanglij has echoed those sentiments in interviews, while also emphasizing that they needed a little bit of a break from the density of the world they created. "I don't think any of us have thought about a second season right now because we're exhausted," he told The Hollywood Reporter soon after the show's release. "But yeah, when we started, Brit and I spent two or three years conceiving of a whole world before we brought it to anybody, before it ever left our bedrooms. Things are going on there." What about the other writers on the show? Two of the writers who worked on Season 1 -- Dominic Orlando and Ruby Rae Spiegel -- also wrote episodes for last year's Netflix drama Mindhunter. It's unclear if they'll be back for Season 2. In January, Marling did tweet that writer Damien Ober, who had a credit on Syfy's short-lived supernatural series Dominion, would be joining the show for Season 2. She also tweeted out a link to his novel Doctor Benjamin Franklin's Dream America, which probably doesn't have any clues for The OA, but does sound pretty cool. What are fans expecting from Season 2? Most of these fans want a second season. According to some of the show's most devoted rewatchers, questions ranging from the broad ("Did Riz Ahmed's character Elias plant the books in Prairie's house?") to the super-micro ("Why was that girl taking a selfie with Prairie making those hand motions?") demand answers. What's also interesting is that there's a vocal minority that would prefer the series to end the way it did, on a note of ambiguity. One Redditor compared hoping for a second season to wanting an Inception sequel: It would ruin the magic. It's an interesting -- though not quite convincing -- argument perhaps best articulated in this Inverse article with the ridiculous headline, "Season Two of 'The OA' Would Be an Admission of Netflix's Guilt." (Netflix: Go directly to jail -- do not pass Go and do not collect $200.) The idea is that the show's open-ended finale, which called into question the veracity of Prairie's story, was a satisfying conclusion because it refused to provide a definitive answer and instead focused on the actions of the people she inspired. The unresolved questions are the whole point. 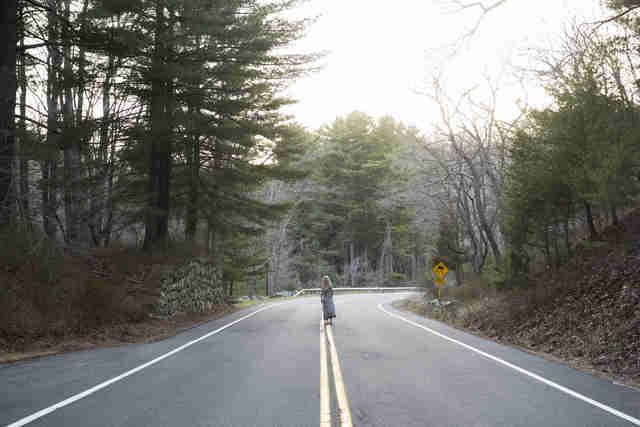 It's an easy sentiment to understand -- Marling's sci-fi film work in movies like Another Earth and Sound of My Voice has embraced this type of ambiguity. But fans and critics of episodic TV typically demand a certain type of narrative resolution: closing the loop or "sticking the landing." If Marling and Batmanglij can continue the story and deepen our understanding of these characters while also retaining that same sense of mystery -- and possibility -- then they will have accomplished something truly original. But for now, we'll just have to wait and re-binge. Why has it taken so long for Season 2 to be released? This may be pretty vague and mysterious, in typical Marling fashion, but it appears the cast and crew have been hard at work and complete episodes are soon on the horizon.